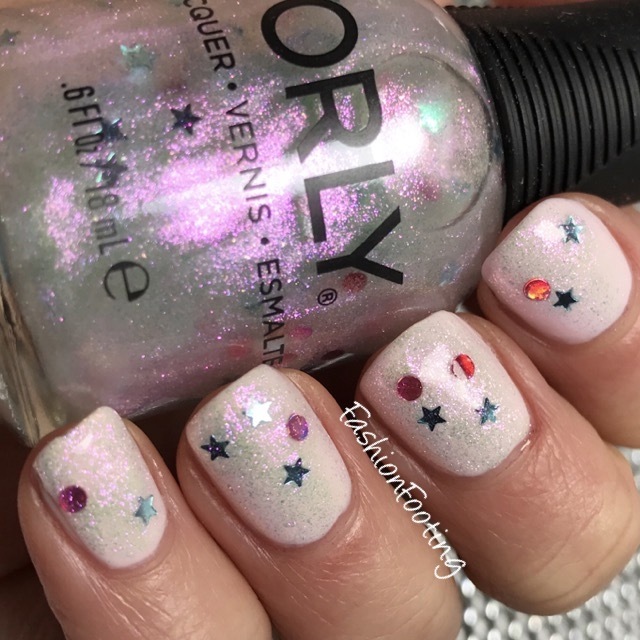 Fashion Footing: Orly La La Land for Spring 2017 Collection! 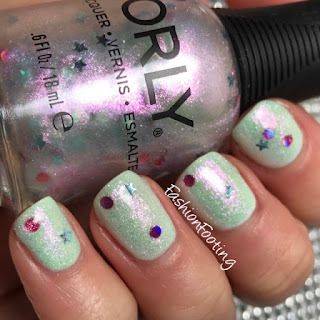 Orly La La Land for Spring 2017 Collection! Happy New Year!! Wow.. just wow! Today I have a SPRING collection! Wow. I am totally okay with Spring because I'm not a winter person but it seems like each season, products start releasing faster and faster! This is the Orly Spring collection, called La La Land. 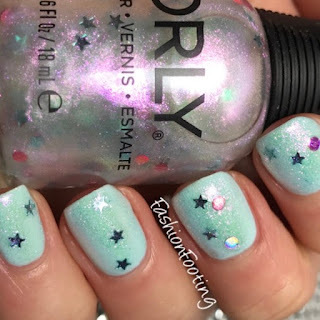 I really love Orly polishes and have been enjoying the collections they've released in the past few years. And I LOVE the 6 piece collections. Can we just stop with the 12 or 18 piece collections? It's so overwhelming! Anyway, let's get to these polishes! Head In The Clouds is a pastel pink. I should mention that all of these polishes are pastel and all are quite sheer on the first coat; I would almost venture to call these crelly polishes. This was 3 coats. Cool in California is a pastel peach. Again, this was 3 coats. As Seen On TV is pastel purple. This is the only polish that covered in 2 coats. Forget Me Not is a pale sky blue. Another one that needed 3 coats. Big City Dreams is a mint green. And yep, 3 coats. 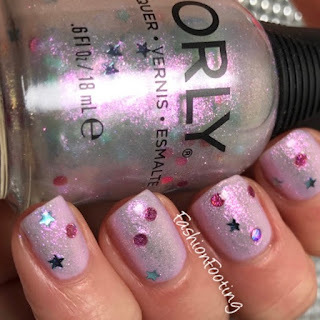 Anything Goes is a an iridescent sheer polish with pink circle glitter and blue star glitter. 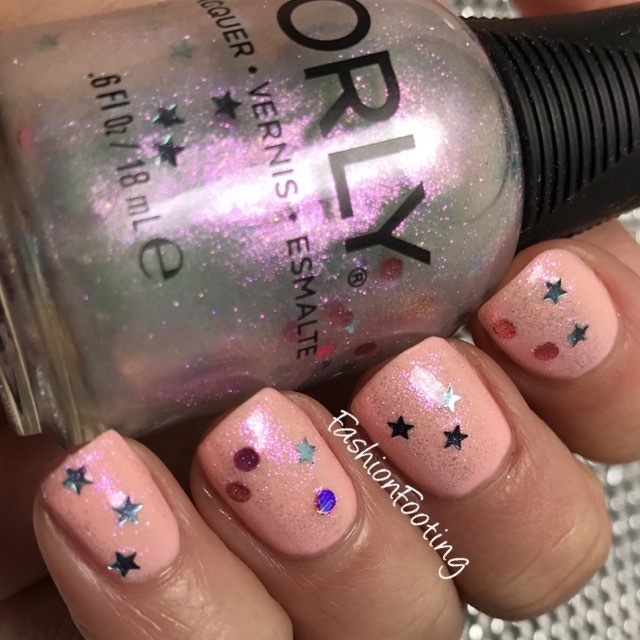 You definitely have to place the shaped glitter but it's fairly easy to swirl the brush around and pick up pieces of glitter. I used one coat over each of the polishes, with glitter placement. To be very honest, I was a tad disappointed with the opacity in these polishes, even though pastels are typically 3 coats. I just thought there were still a few streaks and uneven marks at 3 coats :-/ I do love the colors, however and I always love seeing mainstream polishes using circle glitter!! !